Monitor and troubleshoot server and web app issues with ease. 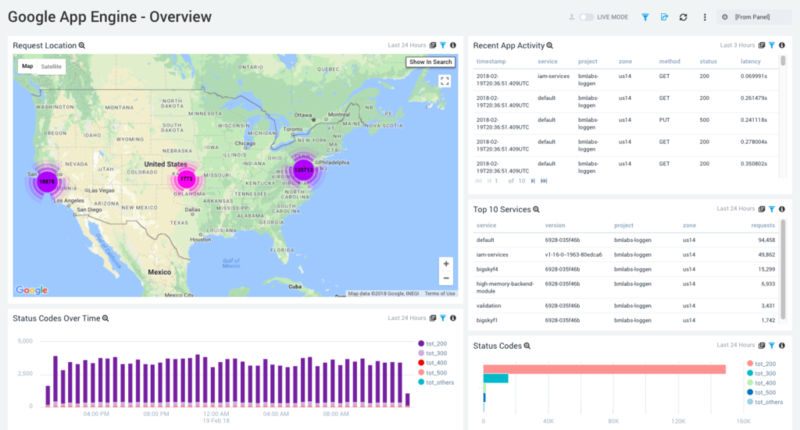 Ingest your Google Cloud Platform log data into the Sumo Logic service to gain real-time operational insights, audit reports, and powerful visualization tools. Monitor the performance of your application on the Google App Engine in real-time and troubleshoot issues before they affect your users. Provide the best user experience on your application by getting ahead of issues and being proactive. Google App Engine is an industry leading Platform as a Service (PaaS) from the company that pioneered much of the microservices technology we rely on today. Google App Engine is a fully managed platform that provides an easy way to scale large applications without worrying about infrastructure. Google App Engine supports the most popular coding languages Node.js, Java, Ruby, C#, Go, Python, and PHP, as well as allowing you to bring your own docker image for portability! Integrating directly with Google Stackdriver, Sumo Logic provides real-time observability for your Google App Engine-generated log data. 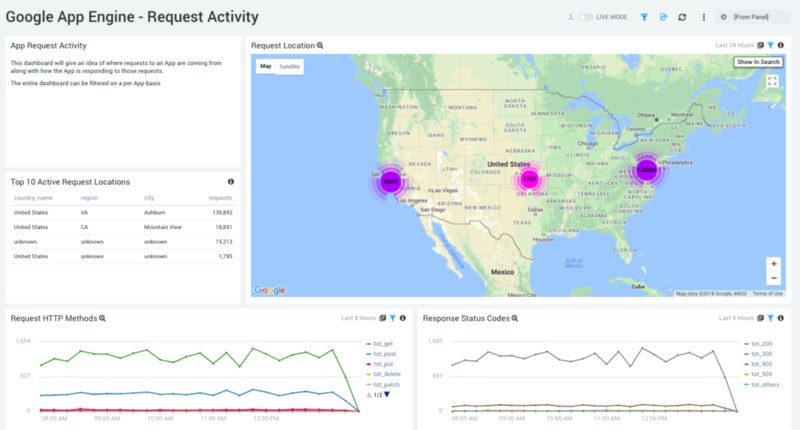 With the Sumo Logic app for Google App Engine, gain real-time insights and analytics into your application through interactive, customizable dashboards. Check out this demo to learn more about how Sumo Logic's advanced analytics enable you to visualize issues and respond faster than ever.